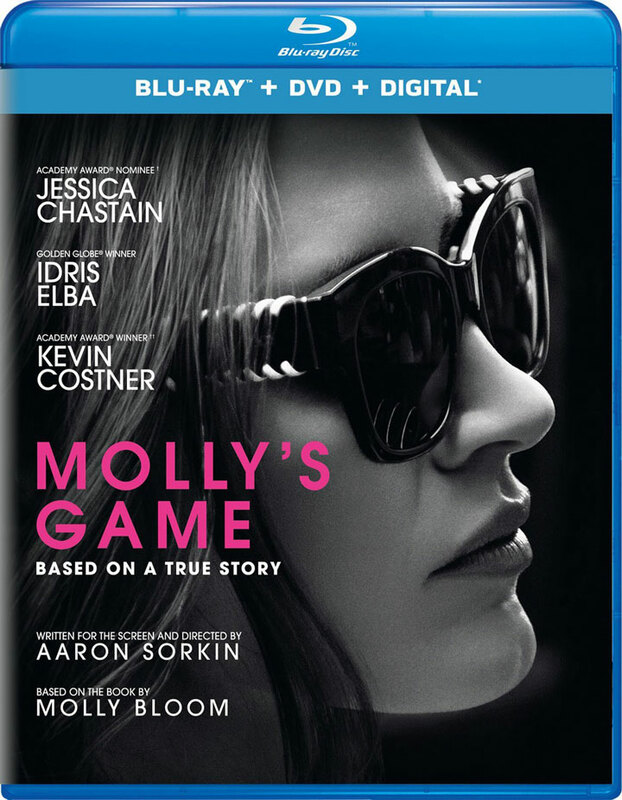 Oscar-nominated film Molly’s Game (Best Adapted Screenplay, Aaron Sorkin) has been scheduled for release on Blu-ray, and DVD. Unfortunately, we don’t see a 4k release from Universal Pictures on the horizon, not even in digital formats. But who knows, that could change over the next couple of months as we wait for the disc releases on April 10, 2018. Molly’s Game on Blu-ray is presented in 1080p at 2.40:1 widescreen aspect ratio. The English soundtrack is provided in DTS-HD Master Audio 7.1, as well as Dolby Digital 2.0. The disc release only contains one bonus feature and that’s titled “Building an Empire.” You might consider additional copies to be extras, however, and so this combo edition also includes both a DVD and digital copy code to redeem with iTunes. (iTunes is a Movies Everywhere partner, so this title should port to your shared digital library). Molly’s Game carries an MSRP of $34.99 (Blu-ray) and $29.99 (DVD), but check below for pre-order pricing from Amazon.